Happy new year! Last year, one full of momentous events at our house, flew by. I'm glad to have a nice new year stretching before me! I've realized something about myself. Year after year, I do the same thing. Although I'm not a great goal-setter or maker of formal resolutions, every year I resolve to do a few things better than I did last year. And pretty much every year, my greatest hope is to be more organized. No, I'm not hopelessly disorganized. We don't live in squalor. I'm not dealing with total chaos. But I am dealing with less than what is best for me and my family. Less than organized, less than orderly, less than peaceful. Every year, despite my hopes, despite scattered efforts great and small, I end up back in pretty much the same spot. And I think I may have finally realized what I've been doing wrong. Instead of confronting my problems with disorganization honestly, I look for ways around them. It's easy for me to read one more organizing article, buy one more organizing book, acquire one more organizing tool. Rather than addressing the underlying issues, I've been developing mechanisms for coping with the outcomes of disorganization. Instead of getting organized, I've become a master of coping mechanisms. Maybe you've done the same thing. Perhaps I'm not the only one. This year, I'd like to tackle the problem from the inside out. Being disorganized is not good for my soul; of that I'm sure. 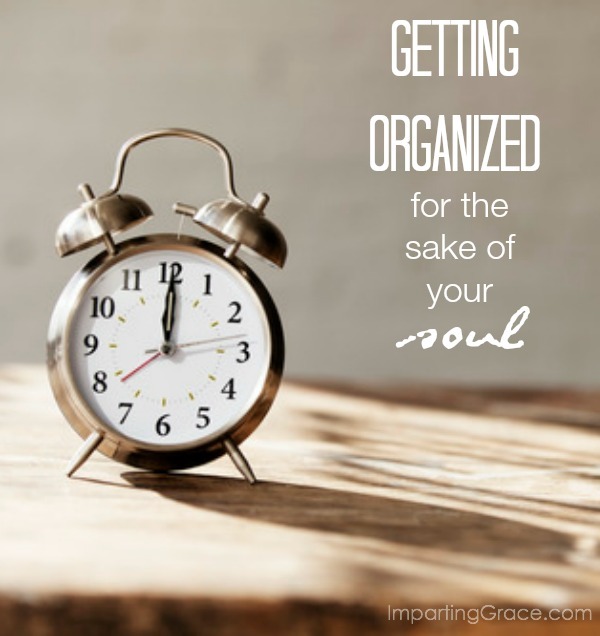 I'm going to explore what it means to be organized for the sake of my soul. I'm going to dig into what my soul needs and what I can do to achieve it. I'll never be an organizing expert; of that I'm sure. That's not one of the gifts that God gave me. But I believe that if I work on this issue with an open mind and an open heart, I can make real strides. How about you? 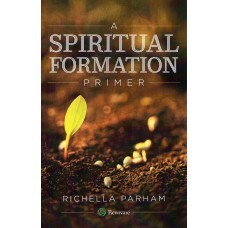 Would you like to get more organized for the sake of your soul? Best of luck on your new years resolution. This year I decided to try a word, and chose "relax" Matthew 11:28. Organizing for the sake of my soul sounds lovely. I have long known that if I feel that all around me is in chaos I can't relax. Even if I don't see the disorganization (I'm good at clever hiding places) I know it's there and it drains me. I've slowly started changing some things, but need to get more serious. I'll look forward to any updates you share with us on this topic as it's always good to gather perspective from others. I'm with you, I'm organized in spurts and in certain places. I was extremely proud this past Christmas because I thought ahead in time to purchase several little gifts to have on hand for luncheons and things like that. Maybe I'll just be proud of that for awhile and call it good. :) No just kidding...I've been working on paper work this week and today I'm doing a top down scrub of the kitchen. Being more organized would reduce stress so much and that is good for our souls. Thank you for your honest words. They have made me look at my issues with clutter a little differently.